Within Teamwork Projects you can set reminders on tasks so that when you set the task to repeat, the reminder also repeats. Note: A reminder must be set on a task first, before the task is set to repeat. 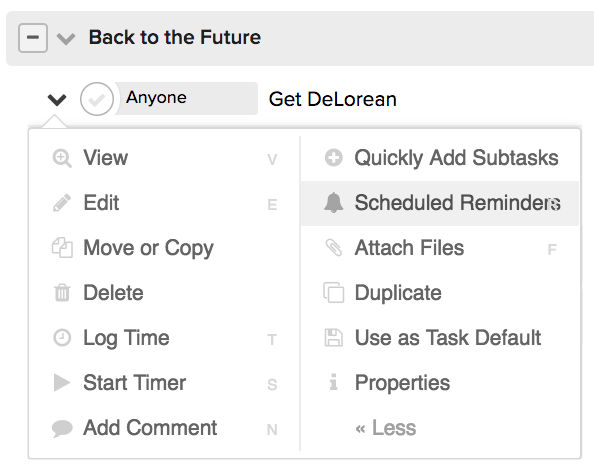 Click on the options down arrow to the left of the task, and select Scheduled Reminders from the dropdown menu. Alternatively, hover over the task name, and click on the bell icon that will appear. When hovering over the task, you can also press the R key on your keyboard to open up the reminder modal. 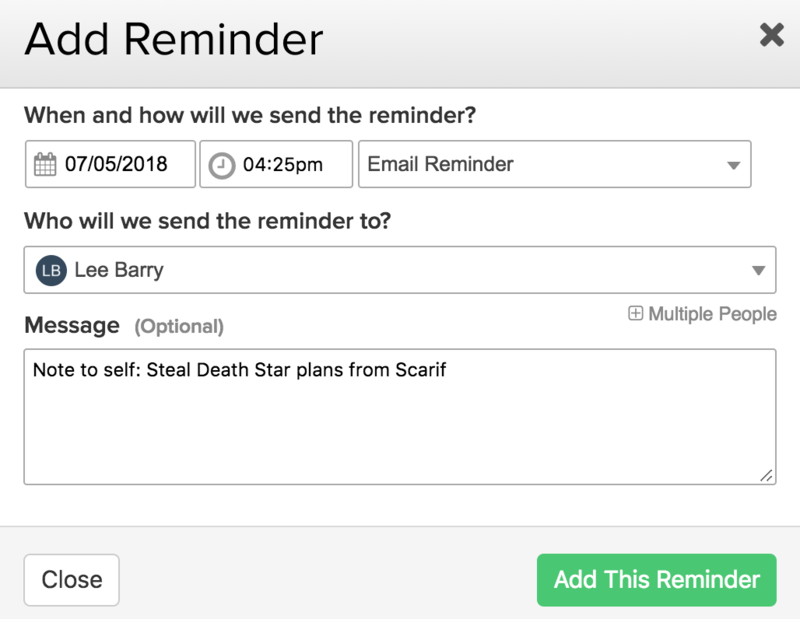 In the Add Reminder modal, you can choose a date and time, notification type (email, sms, mobile push), who to send it to, and a message. Note: A reminder will only recur if you set the task it is on to recur. On an existing task with a reminder set, click the edit pencil that appears to the left of the task name when you hover over the task. Alternatively, click the task name to open the task details view, and click Edit Task in the top right corner. You will then have options to edit the existing task. To set the recurrence, go to the Repeats tab. Note: You must set a due date on the task in order for it to recur. Once the repeat is saved on the task, the corresponding reminder set on the original task will be repeated with every new repeat. 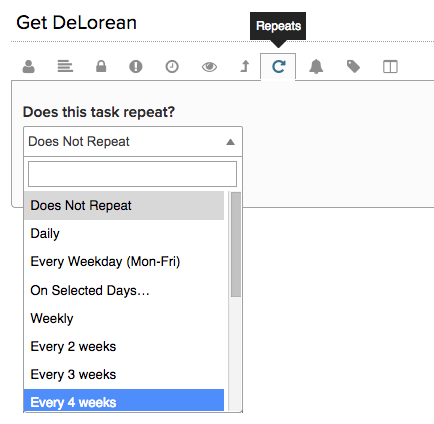 When a recurring task has a due date set, you will have an additional option to set reminders based on the due date of the task. For example, you could set the reminder to be sent one week before the due date.